Air and sea temperatures in the Arctic continue to rise at more than twice the rate of global air temperatures, shrinking snow cover on land and summer ice on the ocean, according to a new report released by the National Oceanic and Atmospheric Administration (NOAA). The report, titled “The Arctic Report Card 2014,” said that snow cover across the Arctic during spring of 2014 was below the long-term mean of a period between 1981 and 2010, with a new record low set in April for the Arctic's Eurasian region. Meanwhile, sea surface temperatures are also rising, particularly in the Chukchi Sea region in the northwest of Alaska, where the waters are warming at a rate of about one degree Fahrenheit in every 10 years. “Arctic warming is setting off changes that affect people and the environment in this fragile region, and has broader effects beyond the Arctic on global security, trade, and climate,” Craig McLean, acting assistant administrator for NOAA’s Office of Oceanic and Atmospheric Research, said in a statement. The extent of Arctic sea ice, which retreats in summer, was the sixth lowest in September since satellite observations began in 1979, scientists said, adding that the eighth lowest sea ice extents have occurred between 2007 and 2014. 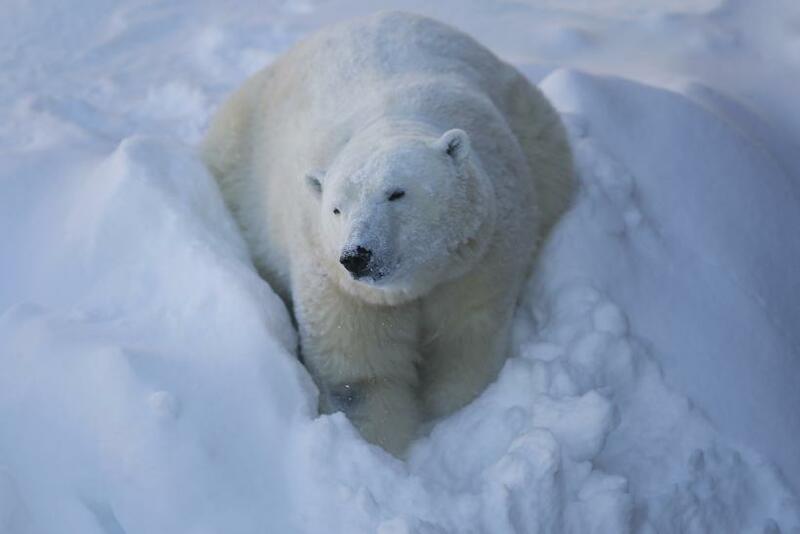 The report also highlighted that the decline in sea ice has affected populations and health of polar bears in western Hudson Bay in Canada from 1987 to 2011. Polar bears depend on sea ice to travel, hunt and mate. In some areas, sea ice also helps the animal to den. “Data shows that polar bear numbers had stabilized in the southern Beaufort Sea, after about a 40 percent decline since 2001. Polar bear condition and reproductive rates in the Chukchi Sea have been stable for 20 years, where sea ice is also declining though not as rapidly as in the southern Beaufort Sea,” according to the NOAA report. In Greenland, scientists observed that sea ice melting occurred on almost 40 percent of the surface of the Greenland ice sheet in summer of 2014. In August, the ice sheet reflected less sunlight than any other time since the satellite observations began in 2000. According to many scientists, the Arctic could become ice-free in summer by the end of the century, while others are predicting that it could happen sooner than expected, The New York Times reported.